It’s been raining most of today and it’s been really relaxing being able to watch the rain from my desk. 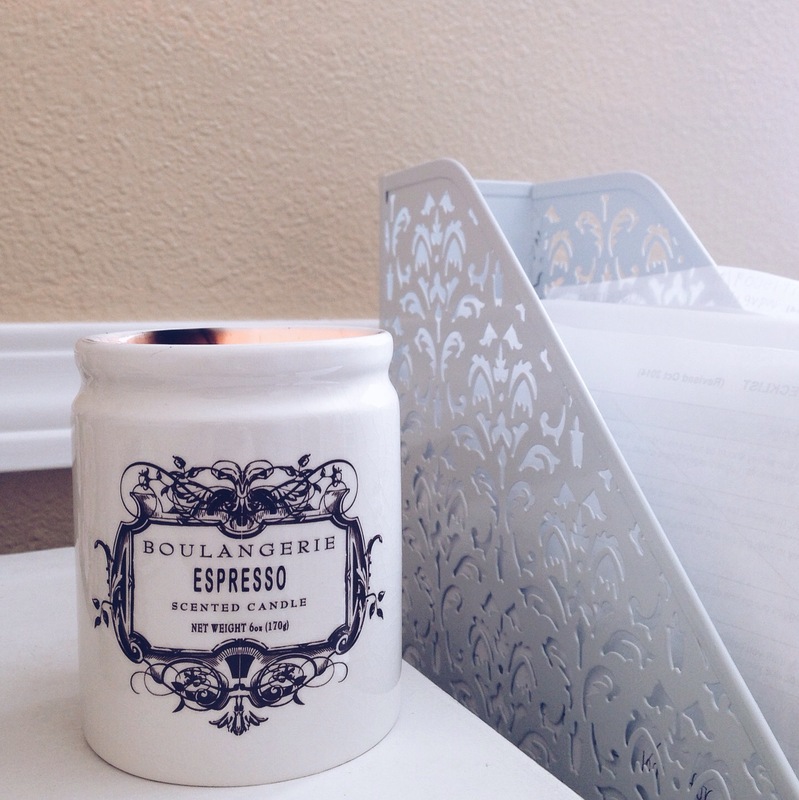 I have been burning this Espresso candle a lot lately. Drinking coffee while being surrounded by coffee smells makes for a good day at work… at home. I roasted some tomatoes last night from the tomato plant my MIL gave me. I used them to top some pesto linguine and was so looking forward to sharing its deliciousness with you.. until my phone decided to stop working (amateur over here using my phone for pics). I swear though, it was delicious, I’ll recreate someday soon.